Nixon bro! The totally rad brand of sporting goods has a new portable speaker up its sleeve that like a bunch of others, wants to win your wallet over Jawbone's Big Jambox. 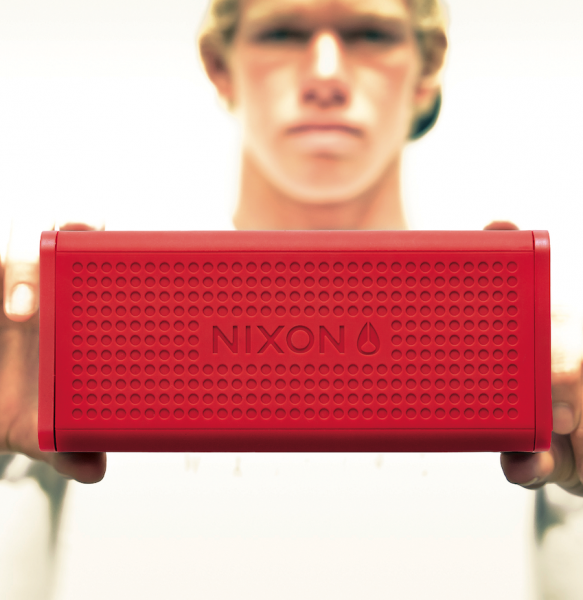 Nixon's new Blaster is a durable, and powerful portable Bluetooth speaker built to withstand the elements of weather and shock-inducing mishaps with its shock-resistant silicone clad construction of which Nixon claims is "nearly indestructible". Hardware wise, the Blaster encases custom-tuned drivers of unknown specification, and an impressive 18-hour rechargeable battery for all-day tune cranking at the skate park. We don't know any specific details other than a slated May release.